I know it is kind of late, but I wanted to share the treat bags the girls brought in for their class today. 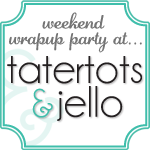 It was kind of a last minute thing, so good thing it was quick and easy to put together. Thanks to my hubby for the assembly help too. We decided to make little treat bags of Pumpkin Poop! What kid doesn't find poop funny, especially when it is yummy cheese balls! We found a big tub of cheese balls at Walmart and I had a pack of snack sized ziploc bags from the dollar store. We filled 40 of these bags with cheese balls and didn't even use up half the tub of cheese balls. I think the hubby was excited to have leftovers. 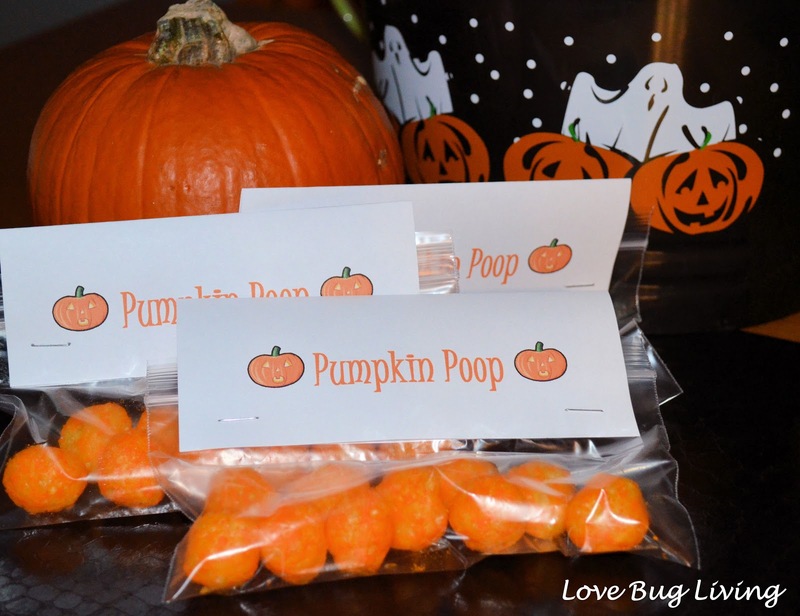 Then I printed easy labels with a pumpkin clip art and Pumpkin Poop on them. I was able to print four per page in landscape view. This way there was extra room above the label part to fold over the top of the baggie. Cut your labels out. The label side should be on one side with the blank side folded over the top and down the back. Staple the labels in place. 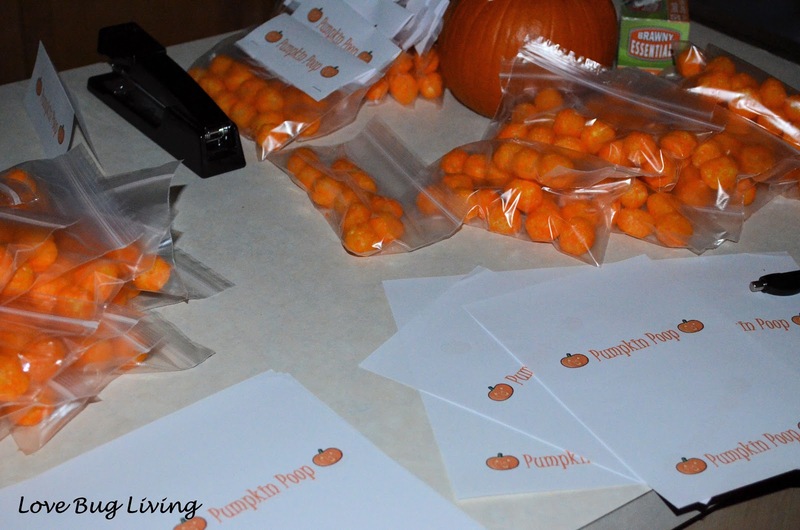 We wrote a little note on the back to let the kids know who the treat was from. If you would like to do this, it is much easier to write it before stapling them on. Just remember your written note will be the opposite direction as your printed label. 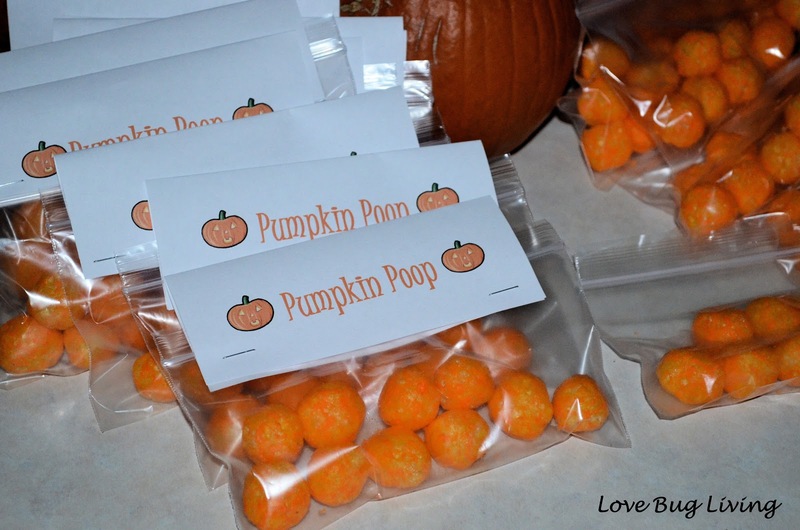 Your Pumpkin Poop Treats are ready for your friends. 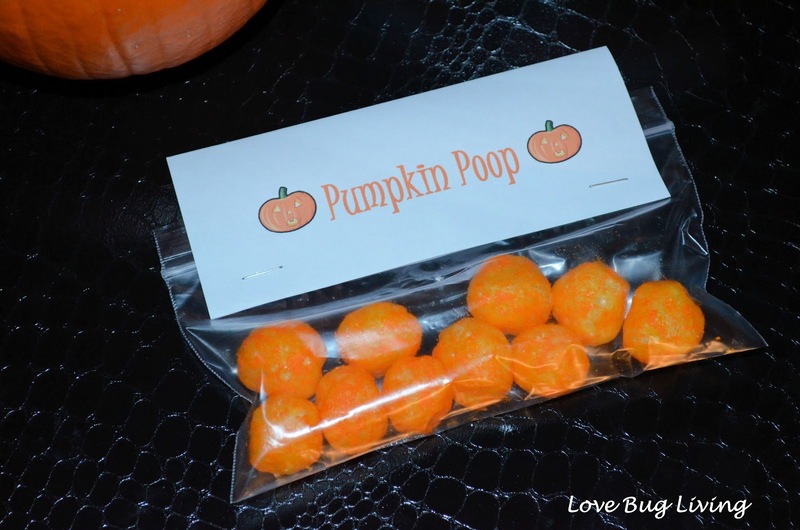 They make great Halloween party favors or are fun to share with classmates or friends. Hope you have a safe and fun Halloween! This is adorable and so creative. Thanks for thinking of it and sharing. I'm going to WalMart tomorrow! !